An early start last Sunday then. It was the first Cars and Coffee Cheshire meeting of the season and I had been dispatched by the city’s new independent magazine, Tortoise. Now I’m no petrolhead. In fact, I’ve never seen a single episode of The Grand Tour and I love the Italian job for the scenery — not the cars. But the Chester meeting was surprisingly inclusive with families and onlookers amongst the crowd. 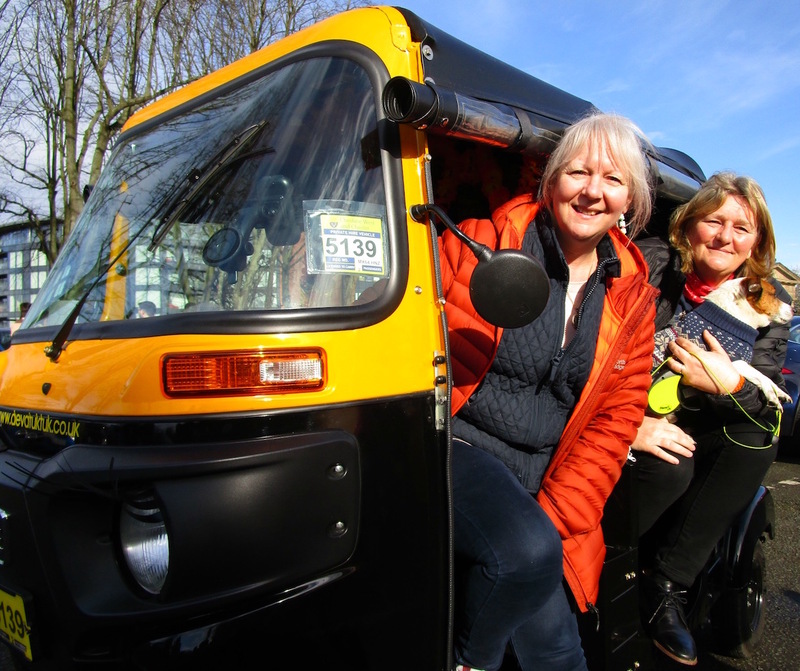 I even had a spin around the Castle Car Park in a souped-up moped courtesy of the ladies from Deva Tuk Tuk [pictured above] and Ronnie the tub tuk dog. The regal statue of Queen Victoria eyes the eclectic crowd with arch curiosity: petrolheads and boys racers mix with family groups. There are serious tyre thumpers, blasting techno from behind their darkened windows, a proud owner posing for selfies next to a rare example of an Alfa Romeo 155 and classic car owners taking torque next to the caffeine-buzzing coffee cart. It’s like an event at The National Motor Museum, Beaulieu, without the tweed, pencil moustaches and copies of the Daily Telegraph. Look out for the full article in the next issue of Tortoise magazine. Liked this? Try also Chester city focus for Britain magazine.